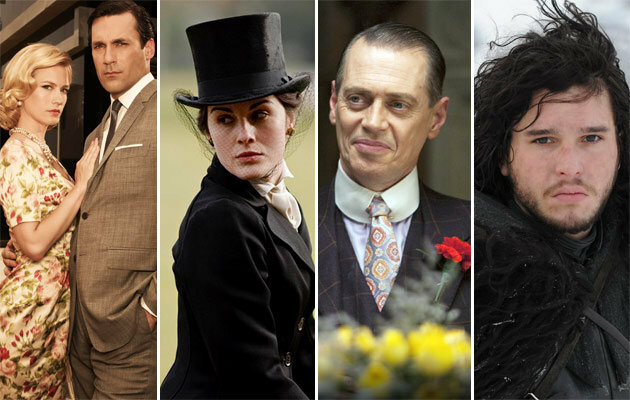 TV costumes, like movie costumes, have inspired people to make their own homemade costumes, and television has brought some wonderful historical costume dramas to our screens. In the approximately 80 years of television, there have been many triumphs and many flops. TV budgets, until more recent times, have generally been lower than those for movies. But even back when budgets per episode were tiny, great organisations like the BBC managed some really amazing historical costumes, with the help of the likes of June Hudson, James Acheson and their many other colleagues, some of whom moved "up" into the world of the movies as well. As a costume maker looking for inspiration, though, you need to be just as careful with TV costumes as you do falling in love with a costume from the movies. There's the good, there's the bad, and there's the downright atrocious! How do I tell what is good, and what's bad? Just as in film, costumes on television are affected by the style and taste of the designer, by the budget of the production (especially if they don't have good contacts to hire or borrow from), and by their knowledge of, and access to the latest research into the styles of the period when the production was made. Sometimes, what they know has no bearing on the overall look, but at other times, they miss the mark entirely. They, and the producer and director, might not care about it, but if you spend hours making a replica of one of their designs for an historical re-enactment, you might be quite upset. So choose wisely (but don't panic, and never freeze into inaction because you "might get it wrong"!). Help is out there! Since I watch a LOT of series for their historical costumes, and I talk, and other costumier's talk too, I thought I'd make a section just for reviews of costume dramas on TV. You can check out what I've watched, and what I thought of it, in the list below. I'm sure you'll find hours of viewing pleasure here. And, just for a laugh, if you feel like it, some viewing pain!